For the Formula One race, see United States Grand Prix West. The Grand Prix of Long Beach (known as Acura Grand Prix of Long Beach for the 2019 event) is an IndyCar Series race held on a street circuit in Long Beach, California. Christopher Pook is the founder of the event. It was the premier race on the CART/Champ Car calendar from 1996 to 2008, and the 2008 race was the final Champ Car series race prior to the formal unification and end of the open-wheel "split" between CART and IRL. Since 2009, the race has been part of the unified IndyCar Series. The race is typically held in April. It is one of the longest continuously-running events in Indy car racing and is considered one of the most prestigious events on the circuit. The Long Beach Grand Prix is the longest running major street race held in North America. It started in 1975 as a Formula 5000 race, and became a Formula One event in 1976. In an era when turbocharged engines were starting to come to prominence in Formula One, Long Beach remains one of the few circuits used from the time Renault introduced turbos in 1977 until the last Long Beach Grand Prix in 1983 that never once saw a turbo-powered car take victory. The Long Beach Grand Prix was the brainchild of promoter Chris Pook, a former travel agent from England. Pook was inspired by the Monaco Grand Prix, and believed that a similar event had the potential to succeed in the Southern California area. The city of Long Beach was selected, approximately 25 miles (40 km) south of downtown Los Angeles. A waterfront circuit, near the Port of Long Beach was laid out on city streets, and despite the area at the time being mostly a depressed, industrial port city, the first event drew 30,000 fans. The inaugural race was held in September 1975 as part of the Formula 5000 series. In 1976, the United States Grand Prix West was created, providing two grand prix races annually in the United States for a time. Long Beach became a Formula One event for 1976 and the race was moved to March or April. Meanwhile, the United States Grand Prix East at Watkins Glen International was experiencing a noticeably steady decline. Despite gaining a reputation of being demanding and rough on equipment, Long Beach almost immediately gained prominence owing much to its pleasant weather, picturesque setting, and close proximity to Los Angeles and the glitzy Hollywood area. When Watkins Glen was finally dropped from the Formula One calendar after 1980, the now-established Long Beach began to assume an even more prominent status. The event served as a CART/Champ Car race from 1984 to 2008, then became a IndyCar Series race in 2009. The 2017 race was the 43rd running, and the 34th consecutive as an Indy car race, one of the longest continuously running events in the history of Indy car racing. On three occasions (1984, 1985 and 1987) the race served as the CART season opener. In seven separate seasons (1986, 1988, 1989, 1990, 1992, 1993 and 1994), it served as the final race before the Indianapolis 500. The current race circuit is a 1.968-mile (3.167 km) temporary road course laid out in the city streets surrounding the Long Beach Convention Center. The convention center actually doubled as the pit paddock during the days of Formula One. The circuit also goes primarily over the former location of The Pike historic amusement zone. The track is particularly noted for its last section, a sharp hairpin turn followed by a long, slightly curved front straightaway which runs the length of Shoreline Drive. The circuit is situated on the Long Beach waterfront, and is lined with palm trees (especially along the front straightaway towards the Aquarium of the Pacific), making for a scenic track. The circuit has undergone numerous layout changes since the race's inception in 1975. All iterations have featured a signature hairpin turn, main stretch along Shoreline Drive, and back stretch along Seaside Way. The first grand prix layout measured 2.02 miles, and featured two hairpins, one at each end of the Shoreline Drive straightaway. In its early years, the starting line and the finish line were located on different sides of the course. The inaugural race was held as part of the Formula 5000 series. From 1976 to 1983 the event was a Formula One race, commonly known as the United States Grand Prix West. Jimmy Vasser at the 2008 Grand Prix of Long Beach. During negotiations which led to the unification of the Champ Car World Series and the IRL IndyCar Series in 2008, a scheduling conflict arose between the IndyCar race held at Twin Ring Motegi (April 19) and the Champ Car race at Long Beach (April 20). Neither party was able to reschedule their event. A compromise was made to create a unique "split weekend" of races at Motegi and Long Beach. The existing Indy Racing League teams would compete in Japan, while the ex-Champ Car teams raced at Long Beach. Both races paid equal points towards the 2008 IndyCar Series championship. The ex-Champ Car teams utilized the Panoz DP01 machines, the cars that would have been used in 2008 had the unification not taken place. The 2008 Long Beach Grand Prix was billed as the "final Champ Car race." Beginning in 2005 the event included a demonstration by participants in the Formula D drifting series. Since 2006 Formula D has held the first round of their pro series on Turns 9–11 on the weekend prior to the Grand Prix. In 2013 the Motegi Super Drift Challenge, a drifting competition, was added on the GP weekend, using the same Turn 9–11 course as Formula D. The Motegi Super Drift Challenge is the only event during the GP that runs at night, under floodlights. Long Beach hosted the opening round of the 1997 North American Touring Car Championship season, being won by Neil Crompton in a Honda Accord. A modified version of the Long Beach Grand Prix track was used during the Long Beach ePrix of the FIA Formula E Championship. The track is 2.1 km (1.3 mi) in length and features seven turns. Admission to the first event was free: "the free admission will afford everyone the opportunity to come out and witness this historic and unique event", Jim Michaelian, president of the Grand Prix Assn. of Long Beach, said in a statement. The ePrix was held once again in 2016. However, it was not renewed for the third Formula E season in 2017. Despite the challenging nature of the course, the Grand Prix of Long Beach has produced the first Indy/Champ car victories for several drivers. Drivers who won their first career Indy car race at Long Beach include Michael Andretti, Paul Tracy, Juan Pablo Montoya, Mike Conway, and Takuma Sato. 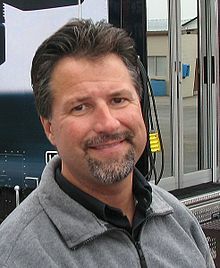 For Michael Andretti, the Long Beach Grand Prix has the distinction of being his first career Indy car win (1986), and 42nd and final career Indy car win (2002). James Hinchcliffe won his first-career Indy Lights race at Long Beach in 2010, then followed it up with an IndyCar Series win at the track in 2017. In 2005, Katherine Legge won the Atlantic Championship support race at Long Beach, her first start in the series. In doing so, she became the first female driver to win a developmental open-wheel race in North America. The City of Long Beach and the Grand Prix Association have a contract to hold the Grand Prix as part of the IndyCar Series through 2018, with optional extensions available through 2020. In 2016, the Long Beach City Council issued an RFP, opening up consideration for returning the event to a Formula One race as early as 2019. The 2008 race was part of the IndyCar Series, but used cars and regulations from the Champ Car World Series. Mario Andretti won the Long Beach Grand Prix four times (1977, 1984, 1985, 1987). 1984: After eight years, the Long Beach Grand Prix changed to a CART series race. The race served as the 1984 season opener. Mario Andretti, who won the 1977 race, won the pole position, took the lead at the start and led all 112 laps en route to a dominating victory. The only other driver to finish the race on the lead lap was Geoff Brabham, who finished second on only seven cylinders. Two-time World Champion Emerson Fittipaldi made his CART debut with a 4th-place finish. 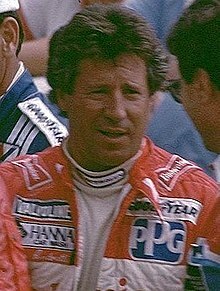 1985: Mario Andretti started on the pole position, and led the first 58 laps. Andretti's strategy was to try to complete the race on one pit stop. After building up an over 10-second lead, Andretti pitted on lap 44. In order to conserve fuel, however, he subsequently dialed back his turbocharger boost. Danny Sullivan had pitted on lap 37. With Andretti slowing his pace, Sullivan went on a charge, dicing through traffic and caught up to Andretti. On the back stretch on lap 59, Sullivan took the lead and began pulling out to a 15-second advantage. It was expected that the race would be decided between Sullivan and Andretti, with Sullivan needing one final pit stop, and Andretti gambling on going the distance. The Penske Team was planning a timed pit stop for Sullivan, hoping to fuel the car, and get back out on the track in close proximity to Andretti. On lap 79, Sullivan shockingly ran out of fuel coming out of the hairpin, and he coasted into the pits barely under power. Sullivan lost many seconds, allowing Andretti to re-take the lead. Andretti led the rest of the way and won at Long Beach for the second year in a row, and third time overall. Sullivan ran out of fuel again on the last lap, and wound up third. 1986: Michael Andretti scored the first win of his CART series career, battling Al Unser Jr. to the finish over a frantic final 25 laps. Michael Andretti made his final pit stop on lap 56, while Al Unser Jr. pitted on lap 69. Unser came out of the pits just ahead of Andretti, but on cold tires, had difficulties holding off the challenge. Down the back stretch on lap 70, Andretti got by and re-assumed the lead. Unser stayed in close contact with Andretti, and on lap 80 when Andretti came upon the lapped car of Roberto Moreno, Unser closed dramatically. Andretti tried to lap Moreno at the end of the back stretch (turn 11), but the two cars nearly clipped wheels and Andretti locked up the brakes. Unser dove below both cars and went side-by-side with Andretti going into turn 12. Andretti barely held off Unser going into the hairpin. The cars battled nearly nose-to-tail to the finish, with Andretti winning the race by 0.380 seconds. 1987: Mario Andretti started on the pole position and led all 95 laps, en route to his third CART series win at Long Beach, and fourth win overall. Andretti's victory marked the first-ever Indy car win for the Ilmor–Chevy Indy V-8 engine. Mario Andretti's only serious challenge was from Emerson Fittipaldi. The drivers pulled away from the field and dominated the first half. Fittipaldi, however, suffered from a broken wastegate, and eventually dropped out with a burned piston on lap 52. Andretti cruised the rest of the way, lapping the field. For the third year in a row, Bobby Rahal dropped out early after contact with the concrete wall. Al Unser Jr. won the Long Beach Grand Prix a record six times, including four in a row in 1988–1991, earning the nickname the "King of the Beach"
1988: Al Unser Jr. snapped the Andretti family winning streak at Long Beach, winning the race for the first time, in dominating fashion. Unser Jr. started fourth, but at the start, settled into second behind Mario Andretti. Going into the hairpin at the end of the first lap, Unser dove below Andretti and took the lead. On his first pit stop, Unser suffered a cross-threaded lug nut, and dropped to sixth, putting Danny Sullivan into the lead. Unser charged, however, gaining nearly a second per lap, re-taking the lead for good on lap 42. Unser led 72 of the 95 laps, lapping the entire field, and when Sullivan dropped out on lap 82, was all alone to the finish. Bobby Rahal finished second, his best career Long Beach result, driving the Judd AV engine. 1989: Al Unser Jr. led 72 of the first 74 laps, but late in the race, Unser found himself in a battle with Mario and Michael Andretti. All three drivers made their final pit stops, and after a faster pit stop, Mario Andretti emerged as the leader on lap 78, with Unser second, and Michael now a distant third. Unser was close behind Mario when they approached the lapped car of Tom Sneva. At the exit of turn two, and going into turn three, Unser dove under Mario Andretti for the lead, but punted Mario's right-rear wheel. Andretti was sent spinning out with a flat tire and broken suspension, while Unser broke part of his front wing, and bent his steering. Despite the damage, Unser nursed the crippled car to the finish line, winning by 12.377 seconds over Michael Andretti. The contact was controversial, and after the race, Mario called the move "stupid driving." Unser accepted blame for the contact. 1990: Al Unser Jr. led 91 of 95 laps, but late in the race, had to hold off the challenge of Penske teammates Emerson Fittipaldi and Danny Sullivan for the victory. On lap 2, Fittipaldi and Sullivan banged wheels, causing Sullivan to spin and collect Michael Andretti. Both Sullivan and Andretti recovered and charged up through the field as the race went progressed. With Unser Jr. holding a 10-second lead, a caution came out on lap 66 which bunched the field and erased Unser's advantage. All of the leaders pitted, and when the green flag came back out on lap 70, Fittipaldi was able to close up behind Unser. Fittipaldi got within two car lengths, but Unser held on for the victory. After the early altercation, Danny Sullivan and Michael Andretti finished 3rd and 4th. It was Al Unser Jr.'s third consecutive win at Long Beach. 1991: Al Unser Jr. set an event record and tied a CART series record, by winning the Long Beach Grand Prix for the fourth year in a row. The race, however, is best-remembered for a frightening pit road collision between Michael Andretti and Emerson Fittipaldi. Michael Andretti started on the pole and led the first lap, but Al Unser Jr. took the lead on lap 2. Unser stretched his lead to as large as 16 seconds, while Andretti ran second much of the afternoon. On lap 70, Unser and Andretti made their final pit stops. Unser returned to the track with the lead. While Andretti was exiting the pit lane, Emerson Fittipaldi came out of his pit stall in the path of Andretti. The two cars touched wheels, Andretti's car flew up on its side, then came to rest on top of Fittipaldi's sidepod. The two cars were too damaged to return, but neither driver was injured. After the pit road mishap, Unser cruised to victory, with his Galles/KRACO Racing teammate Bobby Rahal coming home second. Paul Tracy's first Indy car victory came at the 1993 Long Beach Grand Prix. 1992: Going for an unprecedented fifth win in a row at Long Beach, Al Unser Jr. lead 54 laps, and was leading with less than four laps to go. His Galles/KRACO Racing teammate Danny Sullivan was right behind in second, challenging for the lead in the closing laps. Bobby Rahal and Emerson Fittipaldi were also nose-to-tail with the leaders. Going down the back stretch on lap 102, Sullivan dove low to make the pass, but Unser closed the door. The two cars tangled, and Unser was sent spinning out into a tire barrier. Sullivan took the lead, and staved off Rahal and Fittpaldi to the finish line. It was the first ever win for the Galmer chassis, and Sullivan's first Indy car win since 1990. Unser Jr. recovered from the spin, and finished in 4th place. The race started out on the first lap with a collision between Mario Andretti and Eddie Cheever, which started a standing feud between the two. 1993: Paul Tracy won his first career Indy car race, battling Nigel Mansell most of the afternoon. Tracy led 81 of the 105 laps, but his day was not without incident. While leading the race on lap 25, he clipped wheels with Danny Sullivan, and was forced to pit with a flat tire. Later on lap 61, he had to make an unscheduled pit stop for a blistered tire. Tracy re-assumed the lead on lap 74 after Mansell made his final pit stop, and when Mansell later lost second gear, Tracy cruised to the finish. Bobby Rahal, running 11th at the halfway point, finished 2nd in the RH chassis, owing much to the fact that Mansell, Scott Goodyear, Mario Andretti, Raul Boesel all suffered contact or mechanical problems late in the race. 1994: Al Unser Jr., who had joined Team Penske during the offseason, won his first race driving for his new team, and his record fifth victory at Long Beach. Penske teammates Paul Tracy, Unser, and Emerson Fittipaldi started 1st, 2nd, and 3rd, respectively, and combined to lead all but two laps. Tracy and Fittipaldi led early, but both eventually dropped out with gearbox failures. Tracy spun four times due to the axle-hopping from the gearbox issues, including spinning out while leading the race on lap 20. Unser led 61 laps, and despite a black flag penalty for violating the pit road speed limit, won the race going away. Nigel Mansell finished second, but had lost considerable time when he and Michael Andretti made contact, resulting in a flat tire. 1995: Al Unser Jr. started fourth, and charged to the lead by lap 30. Unser dominated most of the rest of the race, and won his sixth Long Beach Grand Prix in the past eight years. Scott Pruett finished second for Patrick Racing, the best finish for Firestone tires since returning to Indy car racing at the beginning of the season. Contenders Bobby Rahal (transmission), Christian Fittipaldi (engine), and Teo Fabi (stop-and-go penalty) all fell from contention in the latter stages of the race. 1996: Gil de Ferran won the pole position and dominated the race, leading 100 of the first 101 laps. With four laps to go, however, a turbocharger hose came loose, and de Ferrans's car suddenly began to slow. Jimmy Vasser led the final four laps, holding off Parker Johnstone for the victory. 1997: Gil de Ferran and Alex Zanardi started on the front row, and battled much of the afternoon. Though de Ferran appeared to have the faster machine, Zanardi's Ganassi crew executed faster pit stops, which put Zanardi out in front after each sequences of stops. Charging hard to catch Zanardi, de Ferran clipped the wall on lap 93, and fell out with a damaged suspension. Alex Zanardi won back-to-back races at Long Beach in 1997 and 1998. Michael Andretti's first career Indy car victory (1986) and final victory (2002) both came at Long Beach. 1998: Alex Zanardi scored an improbable victory, winning at Long Beach for the second year in a row. Zanardi fell a lap down early in the race after a collision resulted in a bent steering arm. The race lead was being contested between Bryan Herta, Gil de Ferran, Dario Franchitti, and Hélio Castroneves. With a race-record seven cautions, Zanardi managed to get back on the lead lap and slowly worked his way up through the field. On lap 72, Zanardi pitted for tires and fuel, while most of the leaders stayed out since they had just pitted on lap 56. In the closing stages, all of the leaders except Zanardi were facing a splash-and-go pit stop for fuel. After the leaders cycled through their stops, Herta and Frachitti emerged 1st-2nd, with Zanardi now in third, and charging hard. With five laps to go, the top three were nose-to-tail, and Zanardi passed for second. Three laps later, he took the lead. Zanardi led only the final two laps to steal the win. 1999: Rookie Juan Pablo Montoya won his first-career Champ/Indy car race, in his third career start, giving Chip Ganassi Racing the team's fourth consecutive victory at Long Beach, in front of a record crowd of 102,000. Montoya started the race fifth, and one by one, picked off the top three cars to move into second behind race leader Tony Kanaan. On lap 46, due to the track breaking up, Kanaan lost control and slid off the course and into a tire barrier. The crash handed the lead to Montoya, who led the rest of the way to victory. 2000: Paul Tracy started 17th, but steadily climbed to the front of the field, taking the lead on lap 62 to win at Long Beach for the second time. Tracy benefited from strong pit strategy, swift pit work, and an aggressive charge, and managed to put himself in third on lap 58. On a restart with rookie Takuya Kurosawa leading, Roberto Moreno second, and Tracy third, Moreno suddenly slowed with gearbox trouble. Tracy muscled past Kurosawa four laps later, and held off Hélio Castroneves for the victory. 2001: Hélio Castroneves started from the pole position and led all 82 lap to victory. Despite leading wire-to-wire, Castroneves did not run away with the race, with Cristiano da Matta and Kenny Bräck in close pursuit most of the day. After Brack dropped out with a broken gearbox on lap 30, the race was a two-man battle between Castroneves and da Matta. Castroneves staved off numerous overtake attempts by da Matta in the second half. The margin of victory was a mere 0.534 seconds, one of the closest finishes in Long Beach history. 2002: Michael Andretti won the 2002 Grand Prix of Long Beach, his 42nd and final career Indy/Champ car victory. The win came nearly sixteen years to the day of his first career Indy car win – at the same race – the 1986 Long Beach Grand Prix. Andretti started 15th and gambled by pitting out-of-sequence, as did Max Papis. Andretti assumed the lead on lap 62 when the rest of the leaders cycled through routine green flag pit stops. Andretti and Papis led Jimmy Vasser by over 30 seconds, but both still needed one final pit stop for fuel. A full-course caution came out on lap 63, and both drivers took advantage of the break. Meanwhile, Vasser slowed down to be picked up by the pace car, not realizing he was not the race leader, and actually running third. Vasser slowing down gave Andretti and Papis extra time and allowed them to pit without giving up first and second position. Vasser managed to get by Papis when the green came back out, but Andretti held on for the win. 2003: Michel Jourdain Jr. looked poised to win his first-career CART series race, but mechanical problems foiled his chances at victory. Jourdain started on the pole, but Paul Tracy took the lead at the start and led the first 26 laps. After pit stops, Jourdain assumed the lead on lap 27, and mostly dominated the race over the next 49 laps. The race came down to Jourdain and Tracy, with both drivers needing one final pit stop in the final ten laps. Tracy pitted with 8 laps to go, and came back out on the track still in second place, ahead of Adrián Fernández. Jourdain pitted one lap later, but as he was leaving the pits, the car failed to pull away. A faulty clutch dropped him out of the race, and handed the victory to Tracy. It was Tracy's third win at Long Beach, and he became the first driver in CART history to sweep the first three races of the season. Sébastien Bourdais won three years in a row (2005, 2006, 2007). 2004: Paul Tracy won the 30th Long Beach Grand Prix, his fourth victory in the event, and second in a row. At the start, Tracy utilized the new Push-to-pass button to boldly dive from third to first in the first turn. Tracy ran away with the race, giving up the lead only once during a routine pit stop. On lap 2, three cars (Jimmy Vasser, Alex Sperafico, and Tarso Marques) crashed, bringing out the lone caution of the day. 2005: Sébastien Bourdais worked his way from fourth starting position to the lead by lap 30. Bourdais pulled out to as much as a 7-second lead, and controlled the race most of the way thereafter. A late caution bunched the field, and second place Paul Tracy was on the optional tires, while Bourdais was on the primary tires. Bourdais got the jump on the restart and went on to win, while Tracy became mired behind a lapped car and finished second. The race was held under a cloud of uncertainty, as it was in its final contract year with CART/Champ Car. Rumors were swirling around the paddock that the event might switch to the Indy Racing League for 2006. 2006: After rumors of a possible switch to IRL, the race returned as part of the Champ Car series. Sébastien Bourdais won for the second year in a row, starting from the pole and leading 70 of the 74 laps. 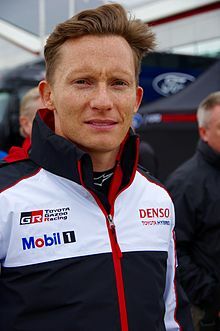 He finished 14 seconds ahead of second place Justin Wilson. 2007: Sébastien Bourdais led 58 of 78 laps, dominating en route to his third consecutive Long Beach victory. Paul Tracy crashed during practice on Saturday and sat out with a back injury. He was replaced by Oriol Servia. Will Power passed Alex Tagliani on the last lap to finish second. 2008: The 2008 Long Beach Grand Prix was the first to take place after the open wheel unification, and it considered the final race of the Champ Car era. After the IndyCar and Champ Car calendars were hastily merged, an irreconcilable scheduling conflict arose between Long Beach and the Indy Japan 300. A compromise was made such that the former Champ Car teams competed at Long Beach, while established IndyCar Series teams competed at Motegi. Both races would pay full points to the IndyCar championship, and while Long Beach technically now fell under the sanctioning umbrella of IndyCar, it was run with Champ Car regulations, and was heralded as the "final" Champ Car race. The contingent of former Champ Car teams produced a twenty-car field, all utilizing the turbocharged Cosworth/Panoz DP01 for the final time. From a standing start (the first such at Long Beach since 1983), Will Power got the jump from fourth position to take the lead into turn one. Power led 81 of the 83 laps, relinquishing the top position only during pit stops. Mike Conway won twice at Long Beach (2011, 2014). 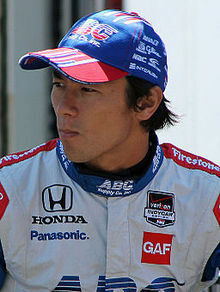 Takuma Sato won first first-career Indy car race at Long Beach in 2013. 2009: Will Power took the lead from the pole position and led the first 16 laps. Dario Franchitti and Danica Patrick both pitted early on lap 16, and benefited from a full-course caution. Over the next 30 laps, the lead traded between Tony Kanaan, Marco Andretti, and Dario Franchitti. Pitting early once more, Dario Franchitti and Danica Patrick again benefited. Moments later, Mike Conway spun into the tire barrier in turn 8, bringing out the full course caution again. Most of the leaders pit under the yellow, while Franchitti stayed out to take the lead. Franchitti pulled away and held the lead to the finish, taking the victory. It was his first IndyCar win since 2007, having spent 2008 racing in NASCAR. 2010: Will Power starting on the pole position, and led the race early. On lap 17, Power errored, when he inadvertently hit the pit road speed limiter button. Ryan Hunter-Reay and Justin Wilson slipped by and Power dropped to third. On a restart on lap 65, Hunter-Reay led, with Power second, and Wilson third. Hunter-Reay had lapped traffic between him and Power and was able to pull out to a comfortable lead. Power, struggling to get through traffic, was passed by Wilson for second. Wilson was not able to close the gap, and Hunter-Reay drove on to victory. 2011: With less than 20 laps to go, Mike Conway charged into third place on a restart. He quickly powered past Dario Franchitti and Will Power to take the lead. Conway pulled out to a six-second advantage, and led the final 14 laps en route to his first Indy car victory. 2012: Just days prior to the race, Chevrolet announced that all eleven of their entries would change engines, in violation of IndyCar's mileage requirement rule. As a penalty, all of the Chevrolet entries would incur a 10-position grid penalty after time trials. At the start, Dario Franchitti and rookie Josef Newgarden battled into turn one. Newgarden tried to take the lead on the outside, but the two cars clipped slightly, and Newgarden smacked the tire barrier and crashed out of the race. Franchitti took the lead for the first four laps, but quickly faded with handling problems. The race became a contest between rookie Simon Pagenaud and Will Power, with Takuma Sato also strong all afternoon. Power made his final pit stop on lap 64, and attempted to stretch his fuel over the final 21 laps. Pagenaud pitted on lap 70, and seemingly had plenty of fuel to charge to the finish. As Power held the lead, Pagenaud dramatically charged to catch Power, gaining 1–2 seconds per lap. The cars were nose-to-tail in the hairpin as they approached the white flag. Power held off on the final lap to win by 0.8 seconds. Despite the grid penalties, Chevrolet-powered cars swept eight of the top ten finishing positions. 2013: Takuma Sato led 50 of 80 laps, and won his first career IndyCar race. Sato effectively took control of the race on lap 23, when he passed Ryan Hunter-Reay for second place in turn 1. After the leaders cycled through pit stops, Sato assumed the lead on lap 31, and did not relinquish the top spot for the remainder of the race. Sato's win was the first for A. J. Foyt Enterprises since 2002. 2014: On lap 56, a controversial crash took out six cars, including the drivers running 1st–2nd–3rd. During a sequence of green flag pit stops, Josef Newgarden inherited the lead. Ryan Hunter-Reay, James Hinchcliffe, and Will Power were running nose-to-tail in 2nd–3rd–4th. Newgarden completed his pit stop, and came out on the track just ahead of Hunter-Reay, momentarily holding on to the lead. Going into turn 4, Hunter-Reay attempted a risky pass for the lead, and he made contact with Newgarden, sending both cars into the wall. Hinchcliffe was collected, as was three other cars in the huge melee that nearly blocked the track. Late in the race, Scott Dixon led, followed by Mike Conway and Power close behind. Dixon ran out of fuel, and had to pit with two laps to go. Conway held off Power and Carlos Muñoz to win for the second time at Long Beach. 2015: During the first sequence of green flag pit stops on lap 29, leader Hélio Castroneves was briefly held in his pit box to avoid collision with Tony Kanaan, who was entering the stall just ahead. The delay cost Castroneves valuable track position, and allowed Scott Dixon to take over the lead. During the second round of pit stops on lap 55, Dixon was narrowly able to hold the lead, and cruised to victory, his first career win at Long Beach. With Dixon comfortably out in front, and Castroneves in second, the closing laps focused on a furious four-car battle for third place, led by Juan Pablo Montoya and Simon Pagenaud. Fifth place went to Tony Kanaan. 2016: Hélio Castroneves led 49 of the first 51 laps. During the second round of stops, Scott Dixon was able to pass Castroneves with quick pit work. However, Simon Pagenaud's pit stop was even faster, and he emerged with the lead of the race. Controversy followed, as Pagenaud placed two tires over the blend line at the exit of pit lane while trying to beat Dixon to turn one. IndyCar officials let Pagenaud off with a warning for the incident, despite protests from Chip Ganassi Racing. Pagenaud held off Dixon by 0.3032 seconds, the closest finish in Long Beach history. 2017: James Hinchcliffe won for the first time since his serious crash during practice at the 2015 Indianapolis 500. In the late stages of the race, Andretti Autosport teammates Alexander Rossi, Takuma Sato, and Ryan Hunter-Reay all dropped out with mechanical problems, leaving Hinchcliffe to battle Sébastien Bourdais and Josef Newgarden to the finish. On a restart with three laps to go, Hinchcliffe got the jump and held on for the victory. ^ Morales, Robert (February 27, 2008). "Champ Car finale to roar into L.B." The Long Beach Press-Telegram. Archived from the original on April 19, 2008. Retrieved 2008-02-27. ^ Steven Cole Smith (2007-11-06). "Champ Car schedule "stable" for 2008". www.autoweek.com. Retrieved 2007-10-30. ^ Peltz, James F. (April 7, 2019). "Jim Michaelian steers the Long Beach Grand Prix with a steady hand". Los Angeles Times. Retrieved 2019-04-10. ^ "Toyota ends 44-year title sponsorship of Long Beach GP". RACER. 2018-08-16. Retrieved 2018-10-18. ^ a b c Miller, Robin (April 18, 1994). "Pook's innovative work made Long Beach a top road course (Part 1)". The Indianapolis Star. p. 11. Retrieved April 9, 2017 – via Newspapers.com. ^ a b c Miller, Robin (April 18, 1994). "Pook's innovative work made Long Beach a top road course (Part 2)". The Indianapolis Star. p. 12. Retrieved April 9, 2017 – via Newspapers.com. ^ Kightlinger, Cathy (April 9, 2017). "Celebrity sightings add glitter to popular Long Beach race". IndyCar.com. Retrieved April 10, 2017. ^ "Circuit Guide | Long Beach, USA – Round 7 | FIA Formula E". FIA Formula E. Retrieved 2014-08-26. ^ "Formula E to race on streets of Long Beach in 2015". FIA Formula E. 2014-04-22. Retrieved 2014-08-26. ^ "Formula E electric-car race in Long Beach to have free admission". LA Times. 2014-07-23. Retrieved 2014-08-26. ^ "Environmentally friendly auto racing series Formula E coming to Long Beach". FIA Formula E. 2014-05-22. Retrieved 2014-08-26. ^ "Formula E will not return to Long Beach in 2017". Long Beach Press Telegram. 2016-07-02. Retrieved 2016-07-30. ^ a b Ballard, Steve (April 11, 2005). "Race will choose between groups". The Indianapolis Star. p. 29. Retrieved June 7, 2017 – via Newspapers.com. ^ Stewart, Joshua (April 22, 2014). "Grand Prix will stay in Long Beach until 2018". Long Beach Register. Retrieved April 23, 2014. ^ "Connecting the dots: Formula 1 and Long Beach could be a match for 2019". AutoWeek. March 7, 2017. Retrieved April 25, 2017. ^ Saltzgaver, Harry (August 9, 2017). "SO MOVED: City Council Meeting Aug. 8, 2017". The Grunion. Retrieved August 9, 2017. ^ Miller, Robin (April 2, 1984). "Mario posts wire-to-wire LBGP win". The Indianapolis Star. p. 18. Retrieved April 6, 2017 – via Newspapers.com. ^ Miller, Robin (April 15, 1985). "Andretti outfoxes field for Long Beach win (part 1)". The Indianapolis Star. p. 17. Retrieved April 6, 2017 – via Newspapers.com. ^ Miller, Robin (April 15, 1985). "Andretti outfoxes field for Long Beach win (part 2)". The Indianapolis Star. p. 18. Retrieved April 6, 2017 – via Newspapers.com. ^ Miller, Robin (April 14, 1986). "Michael Andretti races to Long Beach victory". The Indianapolis Star. p. 21. Retrieved April 6, 2017 – via Newspapers.com. ^ Miller, Robin (April 6, 1987). "Mario victorious at Long Beach (part 1)". The Indianapolis Star. p. 17. Retrieved April 6, 2017 – via Newspapers.com. ^ Miller, Robin (April 6, 1987). "Mario victorious at Long Beach (part 2)". The Indianapolis Star. p. 18. Retrieved April 6, 2017 – via Newspapers.com. ^ Miller, Robin (April 18, 1988). "Little Al coasts to Long Beach win (part 1)". The Indianapolis Star. p. 17. Retrieved April 6, 2017 – via Newspapers.com. ^ Miller, Robin (April 18, 1988). "Little Al coasts to Long Beach win (part 2)". The Indianapolis Star. p. 17. Retrieved April 6, 2017 – via Newspapers.com. ^ Shaffer, Rick (April 17, 1989). "Long Beach a rough win for Al Jr. (part 1)". The Indianapolis Star. p. 17. Retrieved April 6, 2017 – via Newspapers.com. ^ Shaffer, Rick (April 17, 1989). "Long Beach a rough win for Al Jr. (part 2)". The Indianapolis Star. p. 20. Retrieved April 6, 2017 – via Newspapers.com. ^ Shaffer, Rick (April 23, 1990). "Unser Jr. wins at Long Beach". The Indianapolis Star. p. 21. Retrieved April 6, 2017 – via Newspapers.com. ^ Harris, Mike (April 15, 1991). "Unser jr. cruises to victory (part 1)". The Indianapolis Star. p. 29. Retrieved April 6, 2017 – via Newspapers.com. ^ Harris, Mike (April 15, 1991). "Unser jr. cruises to victory (part 2)". The Indianapolis Star. p. 31. Retrieved April 6, 2017 – via Newspapers.com. ^ Miller, Robin (April 13, 1992). "Sullivan bumps into victory at Long Beach (part 1)". The Indianapolis Star. p. 36. Retrieved April 6, 2017 – via Newspapers.com. ^ Miller, Robin (April 13, 1992). "Sullivan bumps into victory at Long Beach (part 2)". The Indianapolis Star. p. 38. Retrieved April 6, 2017 – via Newspapers.com. ^ Miller, Robin (April 19, 1993). "Tracy Triumphs at Long Beach (part 1)". The Indianapolis Star. p. 9. Retrieved April 7, 2017 – via Newspapers.com. ^ Miller, Robin (April 19, 1993). "Tracy Triumphs at Long Beach (part 2)". The Indianapolis Star. p. 13. Retrieved April 7, 2017 – via Newspapers.com. ^ Miller, Robin (April 18, 1994). "Unser wins Toyota GO again despite changes (part 1)". The Indianapolis Star. p. 11. Retrieved April 7, 2017 – via Newspapers.com. ^ Miller, Robin (April 18, 1994). "Unser wins Toyota GO again despite changes (part 2)". The Indianapolis Star. p. 15. Retrieved April 7, 2017 – via Newspapers.com. ^ Miller, Robin (April 10, 1995). "Unser posts another seaside win (part 1)". The Indianapolis Star. p. 15. Retrieved April 20, 2017 – via Newspapers.com. ^ Miller, Robin (April 10, 1995). "Unser posts another seaside win (part 2)". The Indianapolis Star. p. 17. Retrieved April 20, 2017 – via Newspapers.com. ^ Miller, Robin (April 15, 1996). "Vasser rides good fortune to third victory (part 1)". The Indianapolis Star. p. 23. Retrieved April 20, 2017 – via Newspapers.com. ^ Miller, Robin (April 15, 1996). "Vasser rides good fortune to third victory (part 2)". The Indianapolis Star. p. 24. Retrieved April 20, 2017 – via Newspapers.com. ^ Miller, Robin (April 14, 1997). "High-octane work by crew fuels Zanardi (part 1)". The Indianapolis Star. p. 15. Retrieved April 20, 2017 – via Newspapers.com. ^ Miller, Robin (April 14, 1997). "High-octane work by crew fuels Zanardi (part 2)". The Indianapolis Star. p. 19. Retrieved April 20, 2017 – via Newspapers.com. ^ Miller, Robin (April 6, 1998). "Zanardi steals another unlikely win (part 1)". The Indianapolis Star. p. 13. Retrieved April 21, 2017 – via Newspapers.com. ^ Miller, Robin (April 6, 1998). "Zanardi steals another unlikely win (part 2)". The Indianapolis Star. p. 15. Retrieved April 21, 2017 – via Newspapers.com. ^ Miller, Robin (April 19, 1999). "Montoya upholds his team's tradition (part 1)". The Indianapolis Star. p. 29. Retrieved April 21, 2017 – via Newspapers.com. ^ Miller, Robin (April 19, 1999). "Montoya upholds his team's tradition (part 2)". The Indianapolis Star. p. 31. Retrieved April 21, 2017 – via Newspapers.com. ^ Miller, Robin (April 17, 2000). "Tracy keeps faith, rallies to wild win (part 1)". The Indianapolis Star. p. 11. Retrieved April 25, 2017 – via Newspapers.com. ^ Miller, Robin (April 17, 2000). "Tracy keeps faith, rallies to wild win (part 2)". The Indianapolis Star. p. 15. Retrieved April 25, 2017 – via Newspapers.com. ^ Harris, Mike (April 9, 2001). "Castroneves gives fans a show". The Indianapolis Star. p. 30. Retrieved April 25, 2017 – via Newspapers.com. ^ Ballard, Steve (April 15, 2002). "Andretti gambled and wins at Long Beach (part 1)". The Indianapolis Star. p. 23. Retrieved April 25, 2017 – via Newspapers.com. ^ Ballard, Steve (April 15, 2002). "Andretti gambled and wins at Long Beach (part 2)". The Indianapolis Star. p. 30. Retrieved April 25, 2017 – via Newspapers.com. ^ Ballard, Steve (April 14, 2003). "Tracy writes CART history in 3-for-3 start (Part 1)". The Indianapolis Star. p. 25. Retrieved June 7, 2017 – via Newspapers.com. ^ Ballard, Steve (April 14, 2003). "Tracy writes CART history in 3-for-3 start (Part 2)". The Indianapolis Star. p. 32. Retrieved June 7, 2017 – via Newspapers.com. ^ Ballard, Steve (April 19, 2004). "Tracy wins with race to 1st turn (Part 1)". The Indianapolis Star. p. 25. Retrieved June 7, 2017 – via Newspapers.com. ^ Ballard, Steve (April 19, 2004). "Tracy wins with race to 1st turn (Part 2)". The Indianapolis Star. p. 32. Retrieved June 7, 2017 – via Newspapers.com. ^ Ballard, Steve (April 11, 2005). "Bourdais drives to victory, asks for shot to repeat (Part 1)". The Indianapolis Star. p. 23. Retrieved June 7, 2017 – via Newspapers.com. ^ Ballard, Steve (April 11, 2005). "Bourdais drives to victory, asks for shot to repeat (Part 2)". The Indianapolis Star. p. 29. Retrieved June 7, 2017 – via Newspapers.com. ^ "Bourdais returns to dominating form at Long Beach". The Indianapolis Star. April 16, 2007. p. D3. Retrieved June 7, 2017 – via Newspapers.com. ^ "Official Race Results" (PDF). International Motor Sports Association. 2018-04-17. Archived from the original (PDF) on 2018-12-09. Retrieved 2018-12-09. ^ "Official Race Results" (PDF). International Motor Sports Association. 2019-04-16. Retrieved 2019-04-20. ^ "Lofton Soars To Long Beach Victory". Speed Sport. April 21, 2013. Retrieved April 13, 2019. ^ "Motorsports legends Robby Gordon, Bryan Herta to be honored today in Long Beach". Press-Telegram. April 16, 2015. Retrieved April 13, 2019. ^ "E.J. Viso Wins the SST Grand Prix of Long Beach". Race-Dezert. April 20, 2015. Retrieved April 13, 2019. ^ "Sheldon Creed Sweeps Stadium SUPER Trucks Weekend at the Grand Prix of Long Beach". Stadium Super Trucks. April 19, 2016. Retrieved April 13, 2019. ^ "Matt Brabham Wins Race 1 At Long Beach". Stadium Super Trucks. April 9, 2017. Retrieved April 13, 2019. ^ Nguyen, Justin (April 10, 2017). "SST: Long Beach Race #2 Recap". Overtake Motorsport. Retrieved April 13, 2019. ^ Dottore, Damian (April 15, 2018). "Joao Barbosa's fuel-saving tactic leads to IMSA Sports Car Grand Prix victory". Press-Telegram. Retrieved January 15, 2019. ^ "Matt Brabham and DeVilbiss Grab Victory at GP of Long Beach". Shortcourse Racer. April 18, 2018. Retrieved April 13, 2019. ^ Dottore, Damian (April 13, 2019). "Grand Prix notes: Driving for a big-time owner brings share of challenges". Press-Telegram. Retrieved April 15, 2019. ^ Coch, Mat; Herrero, Dan (April 15, 2019). "WORLD WRAP: Aussie James Allen wins ELMS opener". Speedcafe. Retrieved April 15, 2019. Morris, Gordon (December 17, 2013). "More Than 40 Years Ago, The 'Roar On The Shore' Was Born". Long Beach Business Journal. Wikimedia Commons has media related to Long Beach Grand Prix.